I shot a quick video today with my iPhone at St. Cloud State University. It was edited with the iMovie app on my iPhone, posted with the WordPress mobile app for iPhone. Camarush Camalapse 4 is a portable turntable that provides an ideal solution for creating time-lapse videos or panoramic stills with cameras up to 5 lb. Nalgene bottle cozy with carabiner – Protects Mophie battery pack and carabiner and bottle holder can be used to mount to tripod. 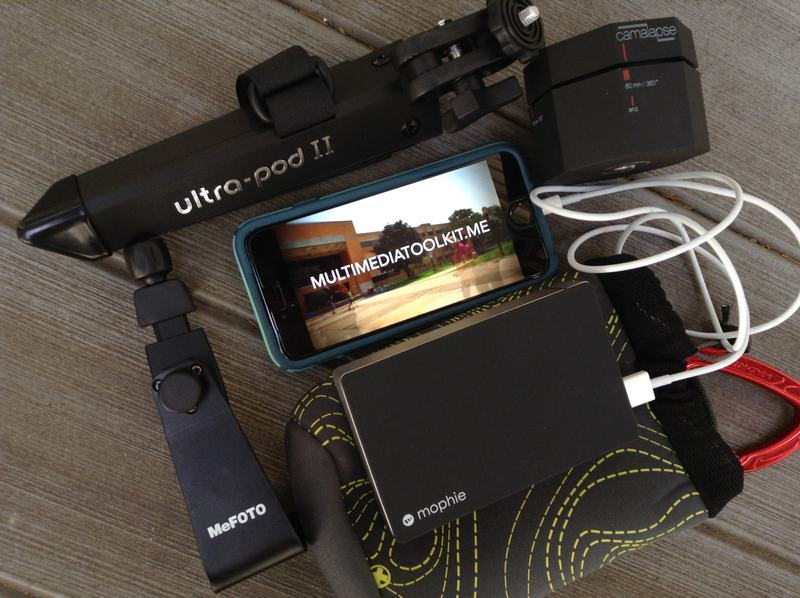 Posted in iPhone, Photography, TechnologyTagged Camalapse, Camarush Camalapse 4, iPhone, MeFOTO SideKick360, Mophie powerstation XL, Nalgene, Pedco UltraPod II Tabletop Tripod, timelapseBookmark the permalink.